Each course developed by eLearn Training Systems is designed to meet your company’s specific needs. And of course, every training program is tailored to match your branding guidelines. Designed with fun, expressive photos, clear and concise audio and interactive videos—we are dedicated to exceeding your expectations! 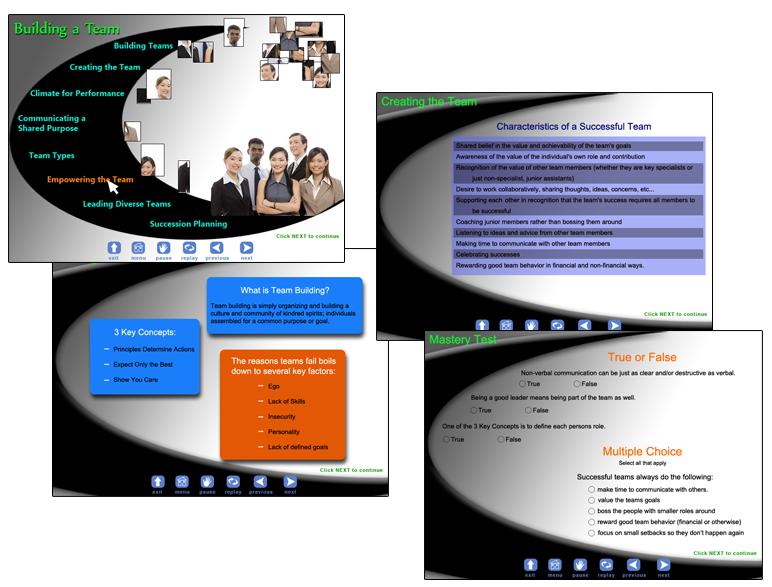 When eLearn Training Systems designs your online training course, your employees will look forward to company training. In fact, we even can feature your employees in a photo shoot making them more excited to become a loyal, eager team member! Here is an example of a ‘professional development and team building’ training program—developed for a high end client in need of better teamwork across all departments. 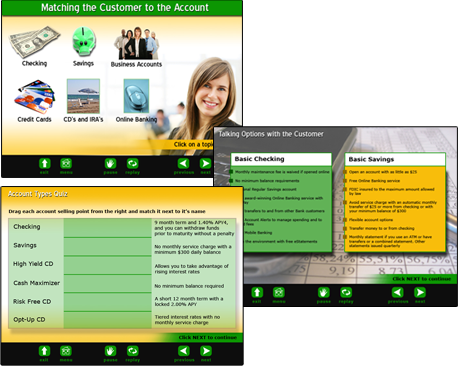 Here is a sample of an online training course for the banking industry— empowering bank employees to be better ‘customer service specialists’.